Whether you use e-cigarettes or not, there is no denying that vaping has been taking the world by storm. Now, more people than ever, from all across the globe are starting to vape—some of them picking it up as a new past time while others are using it as a replacement for traditional cigarettes. However, while the process of vaping is the same all over the world, not every country approaches vaping in the same way. 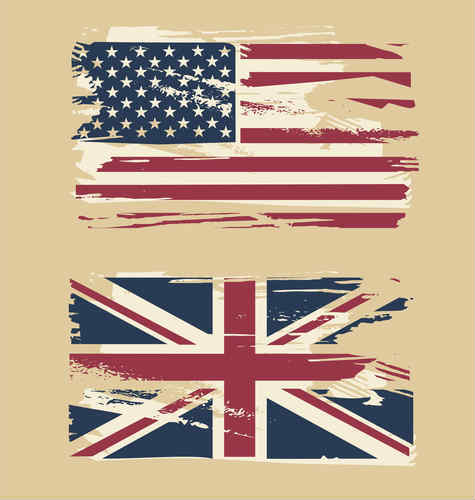 One of the most significant differences in how vaping is perceived, and handled, comes in the stark contrast between the UK and the US. If you visit these two countries, you will see significantly different attitudes on vaping and a completely different message about the safety of this past time. With more than 12 million vapers between both countries and research supporting the fact that vaping has caused a decrease in smoking in both countries, this is one subject that continues to be a hot topic. So, just how different are the UK’s approaches to vaping when compared to the United States? Here are some of the most blatant discrepancies. The US Food and Drug Administration recently cracked down on e-cigarettes, while a British medical group recently endorsed e-cigarettes to help with smoking cessation. In the UK vaping electronic cigarettes is seen as an entirely separate act to smoking tobacco cigarettes, while in the US it is not. In the UK there are vaping cafes all over the country and vaping is not restricted under the Go Smoke Free legislation. In the US, vaping companies can not explain the health benefits of e-cigarettes, while in the UK, experts encourage smokers to try e-cigarettes has they attempt to quit as there is no tobacco in many vaping devices (and some don’t even have nicotine). The UK was one of the first countries to screen the documentary A Billion Lives, which exposes the truth behind the dangers of cigarettes and the health benefits of vaping. So, is the UK just being lax on their e-cigarette policies? Not exactly. The UK not only has more restrictions on e-cigarettes to make sure they can only be a certain size and have a certain amount of nicotine (something the US has yet to do), but they are actually being touted as a way to reduce the smoking issue in the United Kingdom. In fact, the National Health Service even offers e-cigarettes to people who want to quit smoking. Overall, e-cigarettes are not only more widely accepted in the UK (you can vape in many more public spots in the United Kingdom) but they are truly perceived as a suggested alternative to tobacco smoking. According to a new study, smoking in the UK has dropped significantly over the last few years, especially since vaping has become more popular. Less than 15% of adults in England are currently smokers—a huge drop for the country. In fact, the UK has already seen a reduction in smoking related deaths. So, while the UK continues to embrace vaping not only for the jobs and opportunities it brings, but for helping with smoking cessation, the only question is: will the US start to follow suit?